Interviews can be nerve racking! It is hard to sell yourself to someone to prove how you are the ideal candidate for a position. We hear your teeth chattering and see your goosebumps, so here are some tips to ace your interview! Do your homework and research the company. This will prove your interest in the company and give you a background of what you are potentially getting yourself into. This will also spark questions to ask your interviewer (we’ll come back to this). Most interviews are constructed around behavioral-based interview questions. This means that interviewers are likely going to ask you questions concerning your past experiences, and you’ll need to answer in a specific format. We recommend using the STAR-L method. Describe the Situation, discuss your Task and the Action you took to get a Result, and then talk about what you Learned. You can find examples of this type of question online, and you should practice so that you are more comfortable. 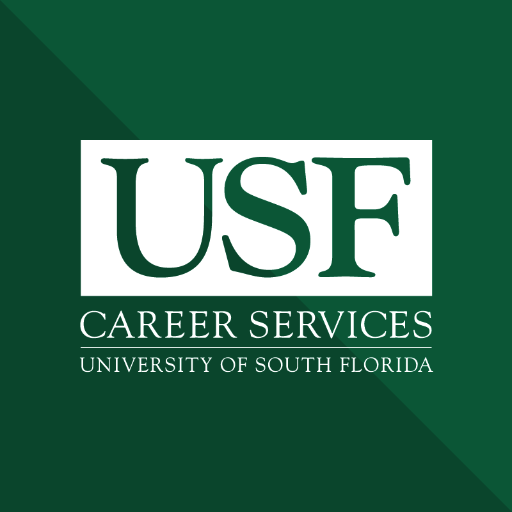 You can access Optimal Interview, a site that allows you to record responses to questions using your webcam, online for free through Career Services. You can also schedule an appointment to meet with a Career Consultant for a mock interview. This takes some time, so be sure to set this up well in advance in case your Consultant is booked out. If you don’t have time to wait for an appointment, you can visit Career Express for interview tips. Interviewers have access to the internet too, and most likely will do their homework as well and look you up. With that said, review your online image because if you are able to find yourself, they can too. Before you even walk through their doors, an interviewer might have a pretty good idea about who are you, so make that image the best version of yourself. Know the logistics. This includes the location, time, dress code, and interviewer’s name. If the interview is going to be somewhere you have never been before, go there before the day of your interview so that you know how much time to plan to get there. On the day of the interview, eat a good meal beforehand, bring copies of your resume for both the interviewer(s) and yourself, and plan to arrive at least 15 minutes early. When you arrive, tell the staff member at the front you name, why you are there, and who you are meeting with. Be friendly to any staff member you come into contact with – they may be your future coworker! When you meet the interviewer, shake their hand firmly and introduce yourself with your full name. Maintaining eye contact throughout the interview is imperative. Eye contact shows that you are attentive and interested in what the interviewer is saying. And don’t forget to smile! A smile is inviting and warm and will make the interviewer feel like they can trust you more. Avoid touching your face, hair, and other objects as these types of movements can show that you are nervous. If you feel the need to do something with your hands, simply fold them in your lap or use them to take notes about what the interviewer is saying. The interviewer is most likely going to ask if you have any questions. This is where your prior research will come in. The interviewer may make it appear that asking is optional, but asking questions is important if you want to show that you are interested in working for the company. You can get ideas on what types of questions to ask online, but avoid simply asking about what they most enjoy on the job. The interviewer will remember you, and if you can demonstrate that you are already familiar with the company’s initiatives, they’ll have a good reason to keep you in mind! If your interview is in the morning, send a thank you email by the end of the business day. If your interview is in the late afternoon or evening, send your thank you email by the following morning. If you haven’t heard anything about your status, you can email or call the interviewer, but don’t do this any earlier than five business days. You want to give the interviewer time to review other candidates, but you also want them to know that you are still serious about and interested in the position.